THE PRICE LISTED IS FOR A THOMPSON WHEEL SET IN POLISH FINISH. YOU CAN ALSO CHOOSE FROM CHROME OR POWDER COAT ALSO DIFFERENT REAR WHEEL SIZES IN THE DROP DOWN BOX. FOR FURTHER ASSISTANCE PLEASE CONTACT US AT 1-843-383-9612 THE PRICE LISTED IS FOR A PERFORMANCE MACHINE WHEEL SET IN POLISH FINISH. YOU CAN ALSO CHOOSE FROM CHROME OR POWDER COAT ALSO DIFFERENT REAR WHEEL SIZES IN THE DROP DOWN BOXES. FOR FURTHER ASSISTANCE PLEASE CONTACT US AT 1-866-411-BIKE. THE PRICE LISTED IS FOR A PERFORMANCE MACHINE WHEEL SET IN POLISH FINISH. YOU CAN ALSO CHOOSE FROM CHROME OR POWDER COAT AND DIFFERENT REAR WHEEL SIZES IN THE DROP DOWN BOXES. FOR FURTHER ASSISTANCE PLEASE CONTACT US AT 1-866-411-BIKE. THE PRICE LISTED IS FOR A PERFORMANCE MACHINE WHEEL SET IN POLISH FINISH. YOU CAN ALSO CHOOSE FROM CHROME OR POWDER COAT ALSO DIFFERENT REAR WHEEL SIZES IN THE DROP DOWN BOXES. FOR FURTHER ASSISTANCE PLEASE CONTACT US AT 1-866-411-BIKE. THE PRICE LISTED IS FOR A PERFORMANCE MACHINE WHEEL SET IN POLISH FINISH. YOU CAN ALSO CHOOSE FROM CHROME OR POWDER COAT ALSO DIFFERENT REAR WHEEL SIZES IN THE DROP DOWN BOXES. FOR FURTHER ASSISTANCE PLEASE CONTACT US AT 1-866-411-BIKE. THE PRICE LISTED IS FOR A PERFORMANCE MACHINE WHEEL SET IN POLISH FINISH. YOU CAN ALSO CHOOSE FROM CHROME OR POWDER COAT AND DIFFERENT REAR WHEEL SIZES IN THE DROP DOWN BOXES. FOR FURTHER ASSISTANCE PLEASE CONTACT US AT 1-866-411-BIKE. 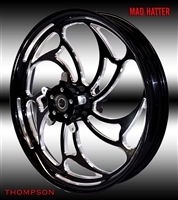 THE PRICE LISTED IS FOR A PERFORMANCE MACHINE WHEEL SET IN POLISH FINISH. YOU CAN ALSO CHOOSE FROM CHROME OR POWDER COAT AND IN DIFFERENT REAR WHEEL SIZES IN THE DROP DOWN BOXES. FOR FURTHER ASSISTANCE PLEASE CONTACT US AT 1-866-411-BIKE. THE PRICE LISTED IS FOR A PERFORMANCE MACHINE WHEEL SET IN POLISH FINISH. YOU CAN ALSO CHOOSE FROM CHROME OR POWDER COAT AND DIFFERENT REAR WHEEL SIZES IN THE DROP DOWN BOXES. FOR FURTHER ASSISTANCE PLEASE CONTACT US AT 1-866-411-BIKE. THE PRICE LISTED IS FOR A PERFORMANCE MACHINE WHEEL SET IN POLISH FINISH. YOU CAN ALSO CHOOSE FROM CHROME OR POWDER COAT AND DIFFERENT REAR WHEEL SIZES IN THE DROP DOWN BOXES. FOR FURTHER ASSISTANCE PLEASE CONTACT US AT 1-866-411-BIKE. THE PRICE LISTED IS FOR A PERFORMANCE MACHINE WHEEL SET IN POLISH FINISH. YOU CAN ALSO CHOOSE FROM CHROME OR POWDER COAT AND DIFFERENT REAR WHEEL SIZES IN THE DROP DOWN BOXES. FOR FURTHER ASSISTANCE PLEASE CONTACT US AT 1-866-411-BIKE. THE PRICE LISTED IS FOR A PERFORMANCE MACHINE WHEEL SET IN POLISH FINISH. YOU CAN ALSO CHOOSE FROM CHROME OR POWDER COAT AND DIFFERENT REAR WHEEL SIZES IN THE DROP DOWN BOXES. FOR FURTHER ASSISTANCE PLEASE CONTACT US AT 1-866-411-BIKE. THE PRICE LISTED IS FOR A PERFORMANCE MACHINE WHEEL SET IN POLISH FINISH. YOU CAN ALSO CHOOSE FROM CHROME OR POWDER COAT AND DIFFERENT REAR WHEEL SIZES IN THE DROP DOWN BOXES. FOR FURTHER ASSISTANCE PLEASE CONTACT US AT 1-866-411-BIKE. THE PRICE LISTED IS FOR A PERFORMANCE MACHINE WHEEL SET IN POLISH FINISH. YOU CAN ALSO CHOOSE FROM CHROME OR POWDER COAT AND DIFFERENT REAR WHEEL SIZES IN THE DROP DOWN BOXES. FOR FURTHER ASSISTANCE PLEASE CONTACT US AT 1-866-411-BIKE. THE PRICE LISTED IS FOR A PERFORMANCE MACHINE WHEEL SET IN POLISH FINISH. YOU CAN ALSO CHOOSE FROM CHROME OR POWDER COAT AND DIFFERENT REAR WHEEL SIZES IN THE DROP DOWN BOXES. FOR FURTHER ASSISTANCE PLEASE CONTACT US AT 1-866-411-BIKE.